Hope everyone is enjoying the Bank Holiday ! 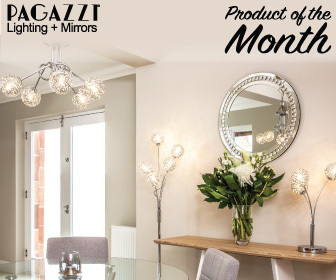 Pagazzi Lighting have done it again with another product of the month. This time, selected items in the Kesha range have up to 24% off ! From the contemporary free standing floor lamp to the ceiling light, these stylish designs are available only from PAGAZZI Lighting. This offer is only available until 23rd September so you'd better hurry ! !